School board member Oshin Castillo received the support of her colleagues on Wednesday night to serve as president. Nakima Redmon was picked as vice president. Both Castillo and Redmon, sworn in in 2016, are relatively new to the board of education. Castillo was selected in a 7-0-2 vote. School board members Jonathan Hodges and newly sworn-in Joel Ramirez abstained from the vote. Redmon was selected in an 8-0 vote. Hodges was not present during the vice president’s vote. School board member Manny Martinez nominated Redmon for president. However, she declined, and instead nominated Castillo for president. Christopher Irving later nominated Redmon for vice president. Emanuel Capers nominated newly sworn-in Kenneth Simmons for president. Simmons declined. Both picks did not come as a surprise, it was known Castillo and Redmon would be selected as president and vice president by Wednesday afternoon. Martinez was favored for the presidency; however, allegations of sexual harassment by a co-worker in a lawsuit reported by the Paterson Times in early December scuttled his chances, according to sources. “We now have two amazing women serving in leadership,” said Irving. He served as president in three of the past four years. Busy with work and his role in governor-elect Phil Murphy’s transition team, Irving opted against holding on as president. His finger prints were apparent in the selection of Castillo and Redmon. Irving said Castillo is the first Latino woman to serve as president of the Paterson school board. 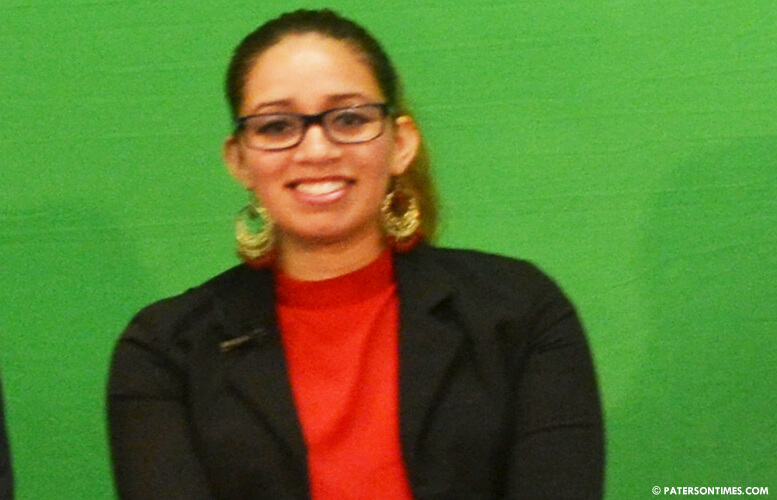 At 26, Castillo is the youngest school board president in recent memory. With the selection of Castillo and Redmon the entire district is now run by women. Both the superintendent and the deputy superintendent are women. So is the municipal government. Both the mayor and council president are women. Both Castillo and Redmon are employed by the Passaic County government which is presently controlled by the Democratic Party. Over the past years, some have pointed out, the Passaic County Democrats have enormous influence in the district through the board. So Oshin Castillo grants an expansion on PCT at the sake of Paterson's dwindling finances in exchange for a no show secretary job at PCT, no corruption or ethics investigations and gets rewarded by being named as BOE president? Only in the Soprano state of NJ or a corrupt banana republic.